Although it is easy to accept the status quo, there is always room for improvement. Once improvements are made, it is hard to believe that we operated the way we did before. So there it is, the continuous cycle of breaking the status quo to improve our firm processes which ultimately ensures future success. As Deltek Vision users, we should focus on initiatives which enhance our Vision systems and allow us to remain efficient and effective in business. Learn and Train on iAccess, the Future of Vision: This simple to use interface can be used from any device or browser with an internet connection. Incorporate FASB Changes: Firms need to understand how this measure requirement relates to them and how to configure Deltek Vision appropriately to accommodate it. Identify KPI & Executive Reports: The Deltek Vision Performance Management (VPM) module provides visibility into your firm’s performance and identifies metrics that help ensure success. Reevaluate the Organizational Breakdown & Work Breakdown Structure: The way firms operate changes over time, especially since their first implementation of the Vision system, resulting in inefficiencies in operations. Mergers & Acquisition Strategy: Many factors come into play when considering a merger or acquisition and effective data integration is vital to a favorable outcome. Connect Best of Breed Solutions: With a simple click of a button, firms can securely use Vision to connect other critical business systems. Focus on Client Retention: Firms can easily manage their client relationships by connecting the Client Feedback Tool with Deltek Vision. Manage Resources & Plan: Project-based firms benefit from an easy to use solutions that integrate project management data with the accounting solution. Improve Talent Acquisition & Employee Performance Process: HR professionals need a way to overcome the challenges of acquiring and maintaining talent. Refine Archival & Document Management Process: Deltek Project Information Management (PIM) integrated with Deltek Vision breaks down data barriers for complete project, financial and information management needs. Don’t be satisfied with just the status quo. 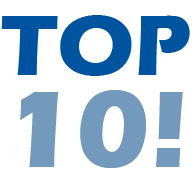 Use these ten initiatives to get more out of Deltek Vision. Putting them into place will make your firm processes better and allow you to be more effective and efficient in business. Break the cycle and start improving your Deltek Vision system now.